Ever wondered why downtown Chicago was called the "Loop"? It turns out it stems from the prevalence of cable cars that turned loops in the Central Business District, so often that the name "Loop" became popular simply because of their novelty (which apparently never wore off on the easily-entertained residents of Chicago). Now that you know, get ready to jump into our deep, statistical, and expert analysis of the Best Neighborhoods in Chicago: Downtown Edition! South Loop, a charming district directly below the heart of Chicago, possesses a sparkling community of students from universities such as DePaul and Columbia College, and preparatory high schools such as Jones College. It's a great destination for young professionals as well, with affordable rents, excellent public transportation, and a vibrant nightlife for the younger generation. Though it's more dangerous than the average suburb, its connected location, wide variety of rental choices for the cost-aware consumer, and excellent atmosphere make this a must have for students and professionals working in the city. 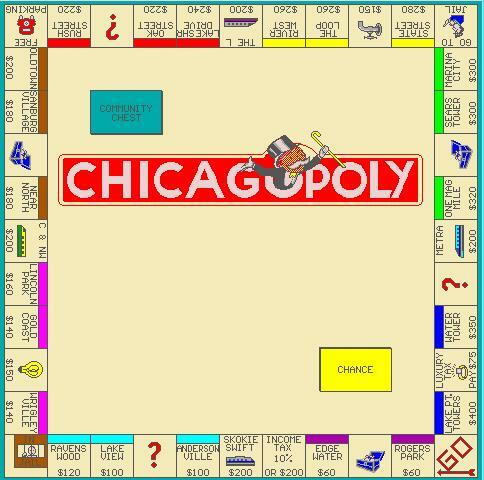 This is THE place to live in Chicago, if you get the opportunity. University Village consists of residential apartments and housing constructed in the past twenty years, making the village practically brand-new; however, under it's shiny exterior are layers of history. As the historical site of Maxwell Street and Little Italy, some of the first neighborhoods in Chicago, University Village contains many relics of history such as the old South Water Market and the Shrine of Our Lady of Pompeii. Furthermore, there's an excellent dining experience, as easily suggested by the presence of Chicago's famed Little Italy, and the presence of the University of Illinois, an excellent institution of higher knowledge. For apartments ranging from the lower-middle class to million dollar purchases, an incredible historic past, and excellent food and nightlife, University Village's your place. Yes, I know, we generally don't do ties. In fact, for an arbitrary ranking like this, it makes almost zero sense to have a tie. But there you are. Wicker Park is also well-known for having the premier scenes for college students and recent graduates, and for good reason. Along Milwaukee, there's plenty of bars and tantalizing restaurants that can spark an entertaining night any day of the week; the shops are widely accessible and range from major retailers to tiny boutiques. Finally, there's much to be said for the residents of Wicker Park. They range all the way from multimillionaires to nearly-homeless art students (sorry, art students), all on the same street: it's a diverse, eclectic bunch, and you'll gain a wealth of culture from living here.